Of all of my favourite artists, Bob Dylan was the hardest to showcase a single album. 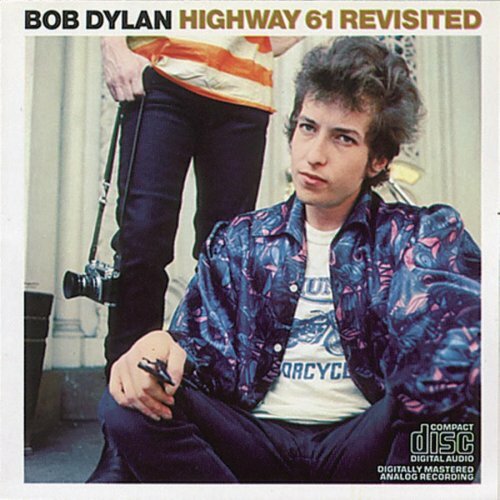 'Highway 61 Revistited' isn't my favourite Dylan album (probably either Blood on the Tracks, or Desire), nor is it even the most influential Dylan album I've ever heard. That being said, all of his albums have been incredibly important, and I ended up going with this one just because it features one of my favourite Dylan tracks. Bob Dylan's lyrics are so much better than 99% of what's out there that his music literally changed the definition of pop-music in the 60's, and is still affecting musical output 50 years later. He's even been cited as the main reason that the Beatles stopped writing about holding your hand, and started writing about Lucy in the Sky with Diamonds, and Walruses, and the like. I got heck from the DMCA so I had to take down the link for a free download of the album, but it's not hard to find free downloads on Google. ..Then go buy his other records. They rule.